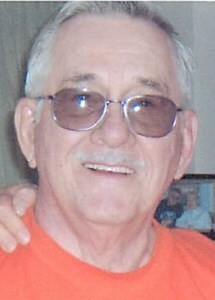 Ronald J. Hinman Sr., 83 of Baldwinsville, passed away peacefully with his loving family by his side. He was an avid golfer, loved cooking, watching sports and enjoyed spending time at the lake, “Thank you Brother”. Ronald is survived by his wife of 58 years, Bonnie; children, Ronald (Diana) Hinman Jr., Laurie (John) Briggs, Scott and Kelly; 6 grandchildren and 1 great-grandchild. Ronald was predeceased by his grandson, J. Briggs, in 2001. Donations may be made to Francis House, 108 Michaels Avenue, Syracuse, NY 13208. Calling hours will take place at New Comer Cremations & Funerals, 705 N. Main Street, N. Syracuse on Tuesday, April 9th, from 4 - 6:30pm, with services to follow. To share a memory of Ronald, or leave a special message for the family, please click the Share Memories button above. Add your memories to the guest book of Ronald Hinman. To Ron's family. The service was perfect and the video I just watched brought tears to my eyes, but they were happy tears, cause he was happy in all the pictures and that's the way I will remember him. I have known Ron many many years an never seen him in a bad mood, Always would have that nice smile when you talked to him. Our families went on vacation together, went camping, and usually went out on Saturday night in our younger years, but they were good years. I hadn't seen them since they moved until the Sunday before he went in the hospital. Still laughed and joked about things, was like old times.. Then he went in the hospital on Tuesday. I believe that fate sent me there that Sunday to visit knowing it would be the last time I would see him. RIP my friend, we're going to miss you. Bev. My condolences go out to the Hinman family. May you rest in peace Ronnie. Today my family and I are greatly saddened by the passing of a wonderful and caring father, husband, and friend. Living next to Ron and Bonnie for eight years, my wife and I were blessed to see Ron every day and we were given great joy as we spent time with Ron and Bonnie. Our deepest sympathy and prayers go out to Bonnie and family. So sorry for your loss. May god be with you and help you through this time.